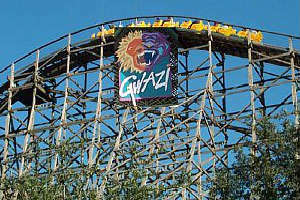 As part of the ongoing renovations at Busch Gardens Tampa, word comes the theme park has decided to shut down its wooden rollercoaster Gwazi on February 1, 2015. 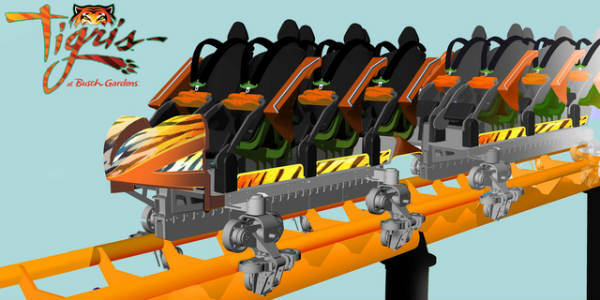 Billed as Florida’s first dueling wooden coaster, Gwazi features two side-by-side tracks that cross seven times at speeds of up to 50mph. The name comes from a fabled creature with the head of a tiger and body of a lion, and the two tracks are named “Lion” (the yellow side) and “Tiger” (the blue).